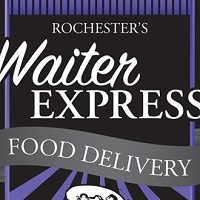 Waiter Express is a wonderful company that delivers food from 29 Rochester area restaurants. Please see the Waiter Express website for complete listing of restaurants and menus. For Serenity House Network guests, Waiter Express will offer a reduced delivery fee of $2.00 (normally $7.00) and will deliver to any Serenity House Network property, Mayo Clinic, St. Mary’s hospital or Rochester Methodist hospital. Their phone number is 507-288-8883. **Must have current SHN property address available at time order is placed. 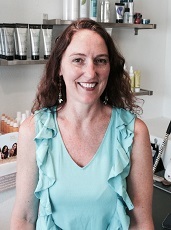 Jenny Jaeger offers a 20% discount to Serenity House Network guests on all hair care services. She works at the Innovations Hair Studio at 401 North Broadway in Rochester. Her phone number is (507) 280-7883. Her email address is jaegerjennifer@yahoo.com. Please note that this discount only applies to Jenny Jaeger (not the other stylists at Innovations). We are Always Caring for you! Always Caring Home Care and Concierge Services is pleased to offer all Serenity House Network guests a 10% discount for hourly Always Caring Assistant Services and hourly Nursing Services. **Must show Serenity House Network guest key to qualify for discount. We provide a free consultation to introduce you to our unique home health care agency. Please call Always Caring at (507) 272-4059 to inquire about our wide variety of services and to hear how we can be of assistance to you while staying in Rochester.